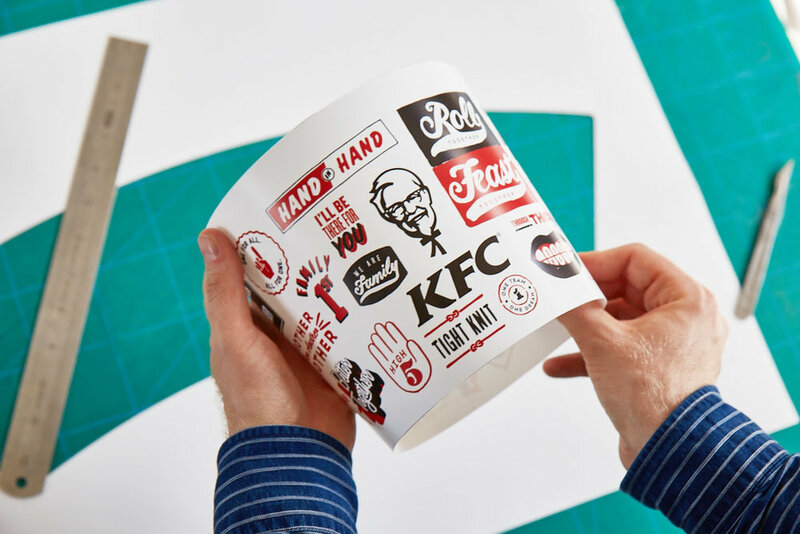 When we were asked to design a limited edition KFC bucket, we jumped at the chance. Working with Mother London on the design and then a series of short films explaining our approach was a real pleasure. Our design was used across packaging and print advertising leading up to a Christmas promotion in 2017. 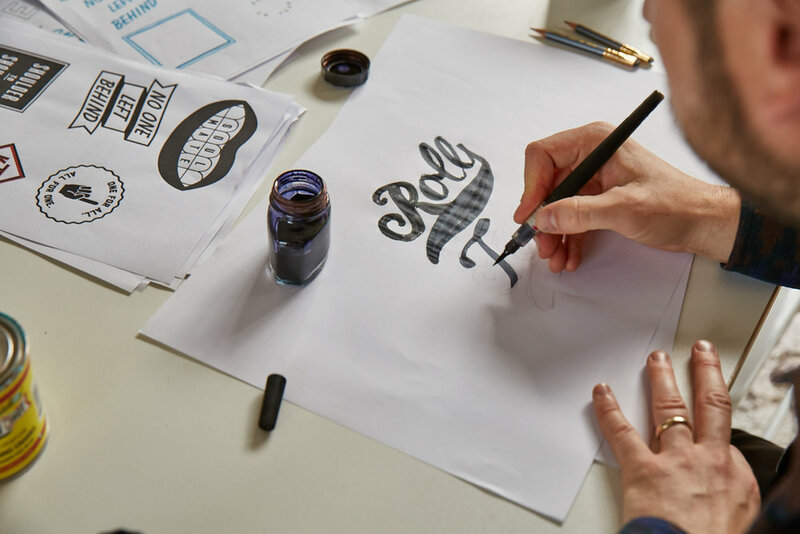 The brief was to build on the slogan of "roll together, feast together". We designed and hand drew a series of small icons that played on this idea of friendship and eating together as a collective.